The gallbladder is an organ located underneath the liver that stores bile, a liquid that helps the liver process fat. When your stomach and intestines break down food the gallbladder will release this bile through the bile duct to the liver and small intestines. If something blocks this flow of bile it can cause issues for the organ. Gallstones are a common contributor to this problem. Gallstones are caused when substances in the bile become hard. After you eat you can experience a gallstone attack, causing pain in the abdomen, pain under the right arm, nausea or vomiting. There are gallstone home remedies and treatments you can use to help quell these symptoms, eliminating the painful gallstone from your bile duct. Foods to eat: T hose that are high in iron or B vitamins are essential for those that have gallbladder trouble. 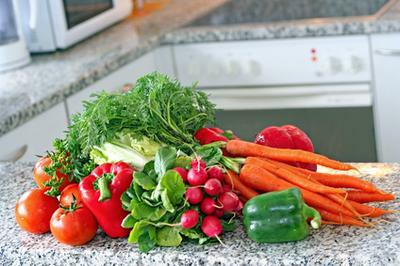 Fruits, vegetables and other foods high in antioxidants are also helpful for those suffering from gallstones. Some evidence also suggests that increasing your calcium and vitamin C intake can help you prevent gallstones. Instead of cooking foods in fatty substances, cook in vegetable or olive oils. You should also increase your fiber intake to encourage your body to digest your food more effectively. Foods to be avoided: Any foods that may cause food allergies will need to be avoided to help prevent any additional symptoms. This includes corn, dairy, wheat, eggs or soy. Foods that strain your liver will also need to be avoided to eliminate your dependence on your gallbladder to break these difficult foods down. 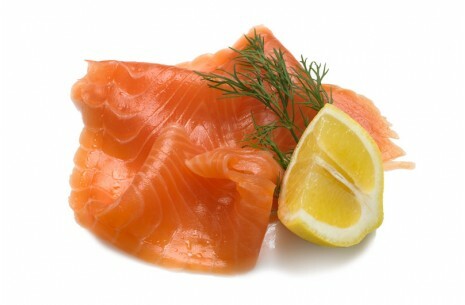 Cut down on your intake of fried foods or foods high in trans-fatty acids and saturated fats. Eliminating foods that are high in cholesterol like dairy and red meat can also put less stress on the gallbladder. Coffee: Studies indicate that drinking a few cups of coffee each day can cut the risk of developing a gallstone by as much as 40 percent. The quality of the coffee does not seem to make a difference here, indicating that the caffeine may partially be responsible for this phenomenon. However, caffeinated soft drinks have not been found to have these same results. High-fiber cereal: Those that eat foods that are very sugary or high in fat tend to have more issues with gallstones. Subbing out high-fiber cereal for sugary or fatty snack foods will help you maintain healthy habits without going hungry. Making a point of eating a filling cereal instead of skipping breakfast also helps you reduce your risk of developing a gallstone. Red bell pepper: Because vitamin C is so essential to avoiding gallstones, foods that are high in this vitamin are key to a gallbladder friendly diet. Red bell peppers contain a high amount of vitamin C and have been found to be particularly he lpful in preventing gallstones. Salmon- The omega-3 fatty acids found in fish like salmon have been found to be helpful in allowing patients to avoid gallstones. Wine: Drinking half a glass of wine each day may be helpful in reducing your risk of developing gallstones. However, drinking more than this does not seem to have any positive effects on this condition. Water: Drinking at least 10 glasses of water each day can help you cleanse your organs, removing toxins that can affect the liver. Milk thistle: Milk thistle can help lower the cholesterol levels in your bile, reducing your risk of a gallstone forming. Turmeric: Turmeric is known for preventing cholesterol crystals from forming, which helps reduce your risk of gallstones. 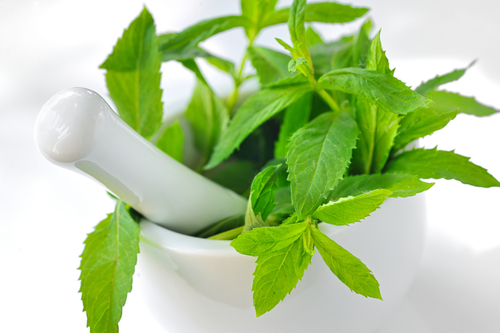 Peppermint: Peppermint reduces your risk of gall duct spasms, which can help you maintain better gallbladder health. Take 200mg three times a day for the best results. Ash plaster: This herb is also used to reduce gall duct spasms. This may be sold under the name tian he gu tong. Mash this herb into a paste with water and place it in a cloth pouch. Apply to the skin as necessary. Gold coin grass: This herb is found to have properties that will help you alleviate pain associated with gallstones. Soaked almonds: Soak 8-10 almonds overnight then mash them into a paste. Consume these first thing in the morning for two weeks to help prevent gallstones. Others: Other remedies have been recommended to help alleviate gallstone pain. Gentain bitters or greater celandine can be used to prevent gall stone spasms. You can also take alfalfa tablets to help improve the function of your liver. 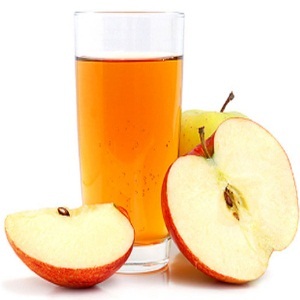 Apple juice, Epson salt and lemon juice: Start by drinking 4 glasses of apple juice or eating 4-5 apples each day for five days. This will help break down the gallstones in your system. On day six, skip dinner and instead consume a glass of warm water with a teaspoon of Epsom salt. Have another glass of this mixture in two hours. This will help to dilate the gallbladder ducts so there will be no obstructions when you release the stones. That night before you go to bed, consume a mixture of a half cup olive oil and a half cup lemon juice. This will force the gallstones out of the gallbladder and make the duct slippery so it is easy for them to move. On the morning of day seven, you should have a bowel movement that contains easily visible green gallstones. Apple, olive oil and lemon: Consuming raw, organic apples can help you clear gallstones. Before going to bed, drink 2/3 cup olive oil mixed with 1/3 cup lemon juice, sipping the mix slowly. Lie on the right side while you sleep, drawing the right leg close to the body. This will help you pass the gallstones the next morning. Black seed oil: Start by adding 5 mL of black seed oil to your diet and gradually increase it to 15 mL over time. This will loosen the bowels while increasing the function of the liver, helping you to clear gallstones. Olive oil, lemon juice and garlic: Mixing a combination of 20 mL olive oil, half of a lemon and a bit of chopped raw garlic can help to clear gallstones from the body. Aromatic compress: Mix a combination of sweet almond and grape seed oil in a bowl of simmering water. Then add 2 drops each of lavender and rosemary essential oils. Soak a towel in this mixture and place it on the abdomen with a hot water bottle. Leave this in place for 15 minutes, and then repeat as necessary. Pregnant women should not use rosemary in this mixture. Castor oil packs: Castor oil packs decrease the swelling and pain associated with gallstones. Apply castor oil to a cloth, then place the cloth on your stomach, covering it in plastic and place a heat source like a heating pad over the pack. Leave this in place for 30-60 minutes to allow your body to absorb the oil. Perform this treatment for three days for best results. Exercise: Staying active is key to avoiding gallstones. Make a point of incorporating exercise into your regular routine. Weight loss: Those that are overweight have a significantly higher risk of developing gallstones. Make a point of maintaining a healthy weight to reduce this risk. Tobacco and alcohol: Avoid using tobacco products or drinking alcohol as well.